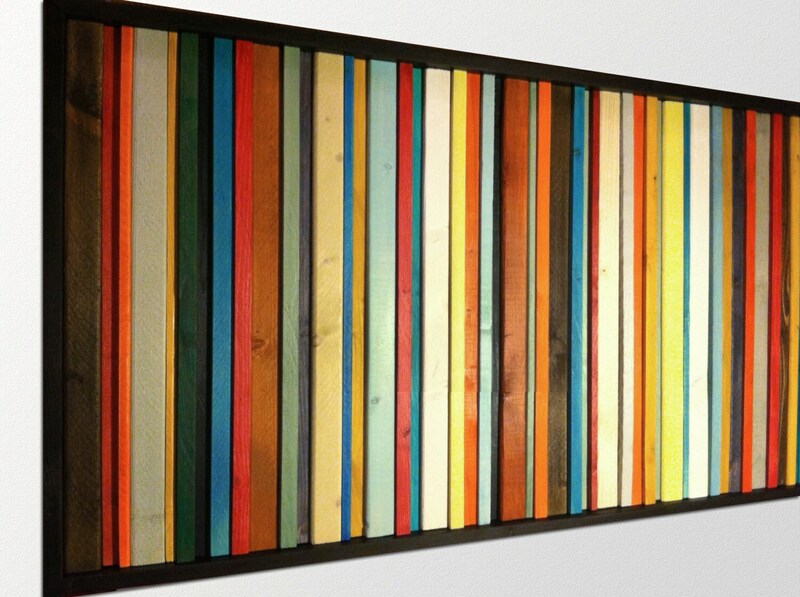 This piece, Fiesta, features red, orange, green, yellow, black, and white stripes. 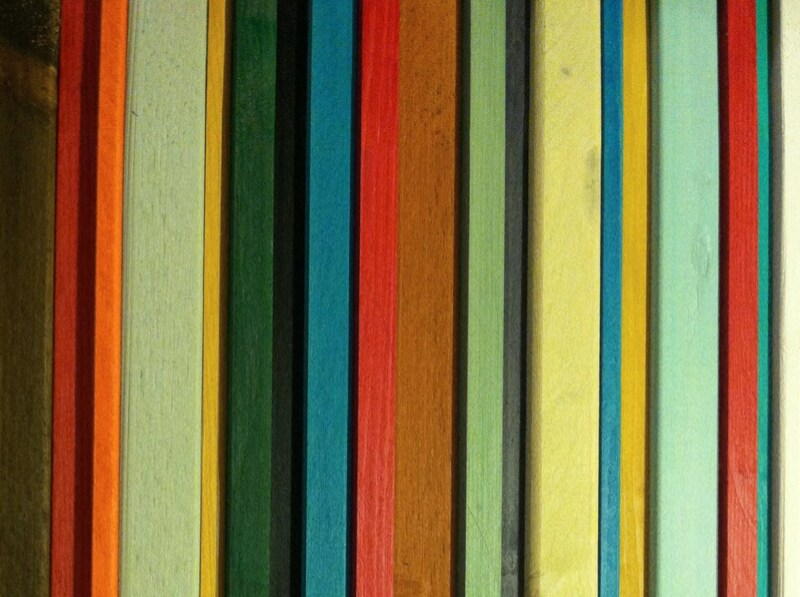 Not THE White Stripes, just stripes of wood painted white. The vibrant color palette is inspired by the piñatas and Cinco de Mayo decorations and costumes I saw during my travels in Mexico. 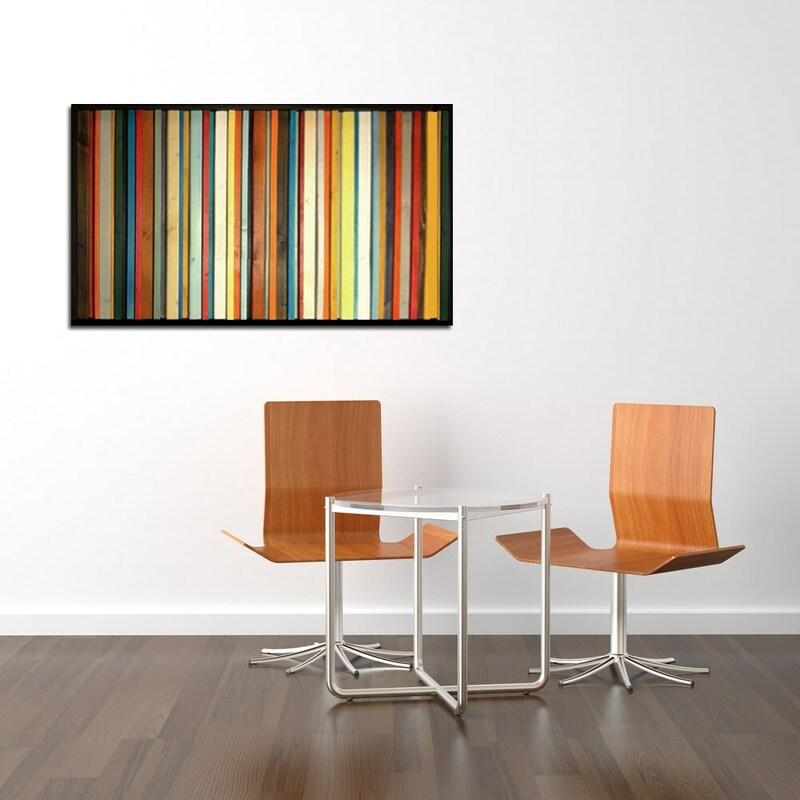 It has a playful, happy feel and will brighten any room in your home or office. 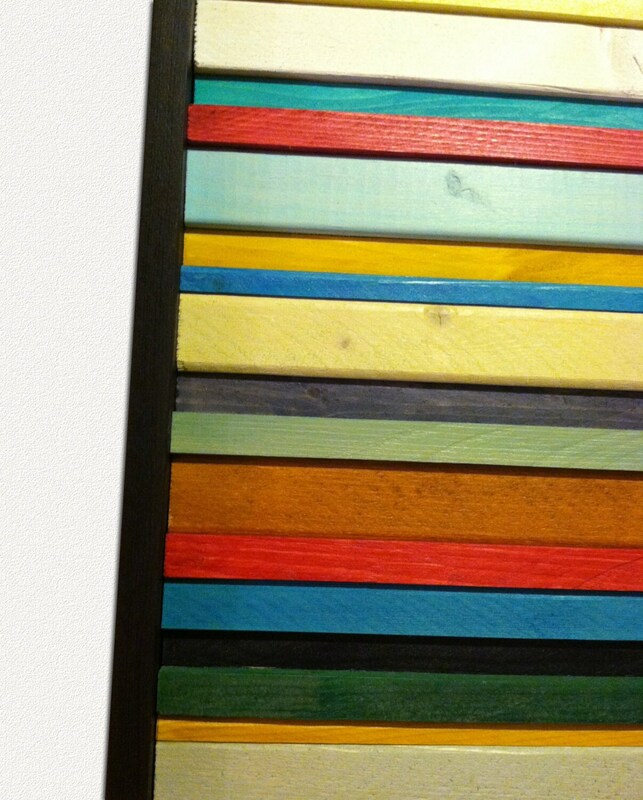 Each piece is 24"x48". If you'd like a different size, please contact me and we can work together to make a custom piece perfect for your home! If you like my wood art and furniture, please follow me on facebook to see new projects and get secret coupons! 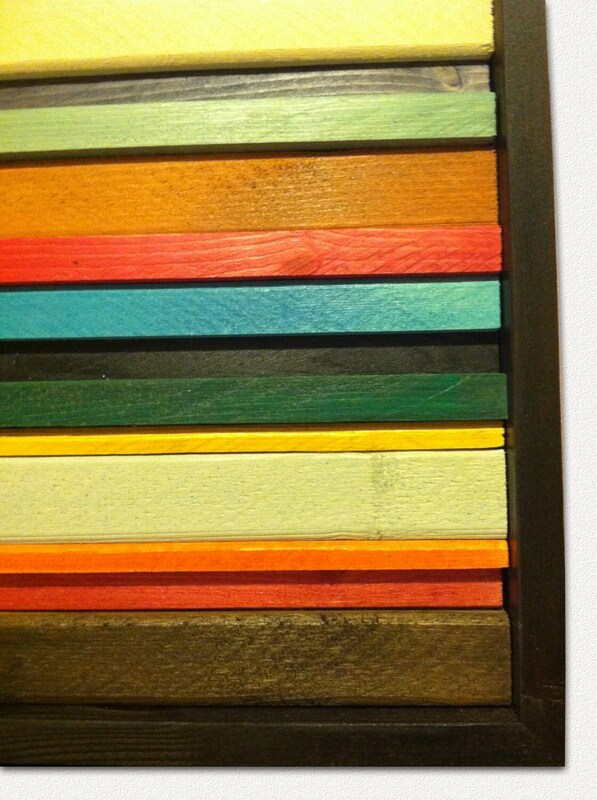 Check out our website at www.scrapwooddesigns.com for more information.